A couple of weeks ago, I wrote about what it’s like to live with generalized anxiety. As one friend put it after my blog went live, “Now you’re really out of the closet.” It’s true. I’ve spilled my mental health secrets – and despite some initial uneasiness about what the response would be, I’m happy that I have. Because just like when I wrote about living with depression, I’ve been touched and overwhelmed about how many people have reached out to thank me- for describing what they’ve been living with, for breaking the silence, for exposing a serious and debilitating disease that so few people understand. That is exactly my goal in writing about my struggles publicly – to create a community and let others know they’re not alone. Selfishly, it helps me enormously too, to know I’m in the excellent company of my fellow anxiety-sufferers. Together, I believe, we can help break the stigma and help each other cope when things seem dark. There’s something I didn’t touch on in my last blog, a piece of the anxiety puzzle that I’ve struggled with my whole life. We know that anxiety can be debilitating. It can prevent you from leaving your house or even making a phone call. The smallest tasks can seem daunting or impossible. So when something big comes up, something new, something unknown, it feels terrifying. I think I speak for for most generalized anxiety-sufferers when I say we hate change. A change in routine, the change of seasons, a change of hair colour (for real!) – anything that takes us out of our regularly scheduled programming is a trigger that sets the anxiety treadmill in motion. We love knowing what to expect; the warm, cozy blanket of routine. We’ve practiced the steps. We know how to get from A to B without too much anguish. And we like to stick to what we know. But life doesn’t always work that way. It’s full of twists and turns and the unexpected. We don’t really know what’s in store for us when we wake up in the morning. So when something we weren’t anticipating comes up, it can be a recipe for disaster. Truthfully, I think that’s the worst part of anxiety. For me anyway. It makes me afraid to take chances, venture into the unknown, do things where I can’t predict the outcome. Anxiety can be incredibly limiting, and sadly, I’ve let it limit me countless times in my life. So many missed opportunities because I didn’t want to deal with the anxiety that a change would provoke. 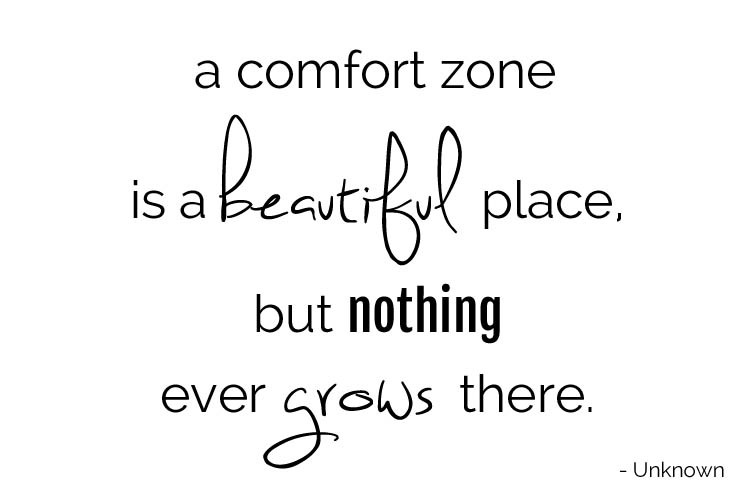 I like living in my comfort zone. 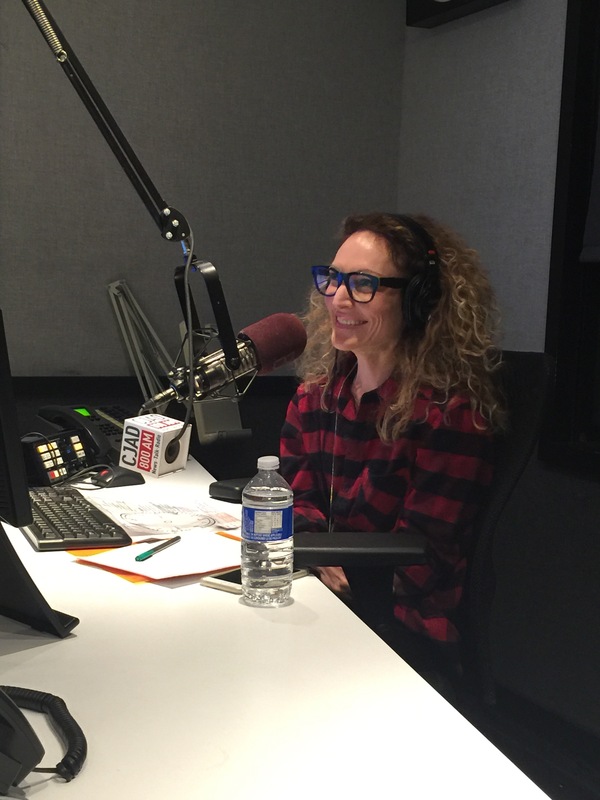 So imagine how I felt when Lisa and I had an opportunity to cut a demo, and then host two live radio shows on CJAD. We’ve been guests on air before, but this was the first time we’d be responsible for manning the ship, entirely on our own. My first response was no. How in the world could I bring myself to do this? I’m already in a difficult place. Why would I add a brand-new experience, one that would be utterly nerve-wracking for anyone, on to my anxious plate? Then, scrolling through Facebook one day, I came across this quote. All these opportunities I’ve passed over because of my anxiety have limited my growth. It’s stopped me from trying new things and spreading my wings. I’ve been letting this disease control my life. And I’ve had enough. I wish I could say that it was as simple as mind over matter. It wasn’t. It’s not. There’s been regular therapy, a medication adjustment, a lot of talking, and a huge amount of sheer determination to move forward. My journal is filled with positive mantras to counteract the relentless catastrophic thoughts that roll across the ticker tape of my mind (you’re going to be awful, you’re going to make a fool of yourself, you’re going to fail…). It’s like I’ve given my brain a brand new exercise routine, and it’s feeling a little tired from the effort. But I did it. 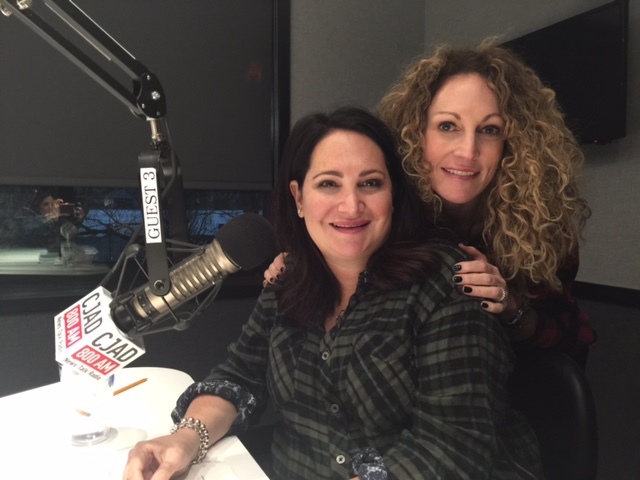 Together, Lisa and I cut a demo in a CJAD radio studio and hosted our first of two live shows. Nothing catastrophic happened. I made mistakes, but the floor didn’t fall out from under me. I didn’t make a fool of myself. Most importantly, I felt proud of myself when the show was over. I’m not saying I’m cured. But I am saying that there’s hope. We don’t have to let anxiety walk all over us. Maybe we can give it a run for its money every now and then.